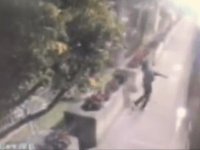 The U.S. government released a surveillance video from a recent grenade attack at the U.S. Consulate in Guadalajara. The FBI released the video to seek help in identifying two of the gunmen believed to have played a role in the attack. 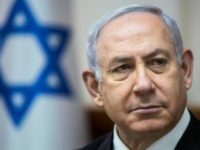 JERUSALEM — Israel’s Shin Bet security service says it has uncovered a plot to target Prime Minister Benjamin Netanyahu. President Donald Trump promised to move the U.S. embassy to Jerusalem, but a recent diplomatic spat showed why it has been so hard for him to do so. 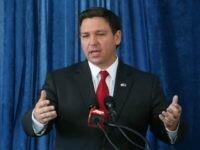 JERUSALEM – Speaking from Jerusalem in a Breitbart News exclusive interview, Congressman Ron DeSantis (R-FL) said he believes President Trump will announce the relocation of the U.S. embassy from Tel Aviv to Jerusalem before the end of May. 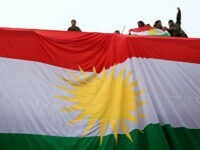 The United States is expected to build its biggest consulate building in Erbil, the capital of the autonomous Kurdistan Region in northern Iraq that has been pushing for independence. 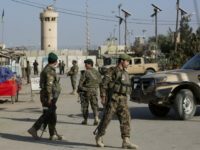 Following a Taliban suicide-bomb attack on the U.S. military base at Bagram Air Field that killed four people and wounded 16 others, and a truck-bomb attack on the German consulate in Mazar-e-Sharif that killed 7 and wounded over 100, the U.S. Embassy in Kabul has announced that it will close temporarily. 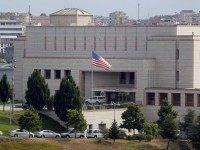 The U.S. State Department has ordered civilian family members of the consulate staff in Istanbul to leave Turkey entirely, due to escalating terrorist threats. 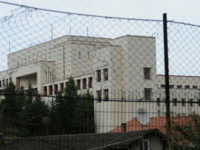 Turkish authorities have arrested and detained a suspected Islamic State militant for allegedly planning a suicide attack on the U.S. Consulate in Istanbul, Turkey. Mientras la violencia sigue azotando esta ciudad fronteriza, el Consulado de Estados Unidos ha elevado los niveles de seguridad en sus instalaciones ante alguna posible situación de riesgo como las que se han hecho comunes en esta región. As cartel violence continues to plague this border city, the U.S Consulate General in this city has beefed up the security measures in its offices in likely preparation for any future violent incident like the ones that have become all too common in this region. 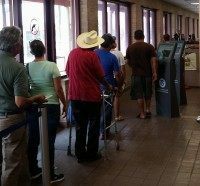 A dos semanas y media de que un grupo de sicarios secuestro un camión con 11,500 visas destinadas a los consulados de Monterrey y Guadalajara, el Gobierno Mexicano se ha mantenido callado al respecto. The Mexican government has remained silent for two and a half weeks after a group of gunmen hijacked a truck carrying 11,500 U.S. visas that were destined for the American Consulates in Monterrey and Guadalajara. 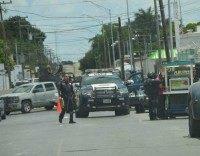 The gunmen who recently hijacked a cargo truck carrying visas and documents bound for the U.S. consulates in Monterrey and Guadalajara were able to steal 11,500 border crossing cards that had just left this border city. A group of suspected cartel gunmen hijacked a cargo truck in Northern Mexico, which carried visas intended for the U.S. Consulate offices in Monterrey and Guadalajara. 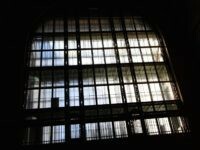 MATAMOROS, Tamaulipas – A series of kidnappings in the Mexican border city of Matamoros prompted the U.S. Department of State to issue a security warning to American travelers.